Summary: New leaders emerge amidst the economic and social stress since the crash, charismatic leaders offering hope and promising change — winning elections. They have everything but the key element necessary for political change. Their experience shows what we’re missing, what we need to make reform possible. A new breed of politicians has come to the western nations. Charismatic, media-savvy, creating expectations of hope and change. Leaders such as Obama in America, Beppe Grillo of Italy’s Five Star Movement, and Jón Gnarr of Iceland’s Best Party. They achieve fame and fortune by bringing new excitement to Republics whose political systems have grown stale. Bold leaders with excited followers, marshaling vast resources (e.g., money, technology, publicity) in great causes. Gnarr and his Best Party had promised to do politics ‘differently’. Such a pledge is the bread and butter of modern electioneering, but no one else, from Barack Obama to Matteo Renzi, has made it while gleefully describing their campaign as ‘anarcho-surrealist’. … Four years later, and that initial success remains unique in Europe. The fallout from the 2008 financial crisis has led to the flourishing of populist, xenophobic parties on the right as well as reinvigorating a popular politics to the left of ‘third way’ social democracy; but Gnarr, even now, seems to be a genuinely new kind of political actor. While the likes of Nigel Farage or Beppe Grillo lay the blame for various problems on specific institutions and interests, Gnarr blames institutional politics itself. In spite of that originality, however, Gnarr’s tenure as mayor didn’t deliver much more than an orderly, if at times colourful, managerialism. His disdain for ideas meant that most policies came from his partners in the Social Democratic Alliance, whose leader, Dagur Eggertsson, has now replaced him as mayor of Reykjavík. All three elements are needed for victory over the established system. Two are insufficient, even when combined with hope and charisma. There can be no change without ideas about alternatives to the present. Perhaps that is the missing element that I have sought for so long, which explains why reform programs in America are a series of damp squibs. Political reformers tend to offer either big but ungrounded ideas — miracle cures, such as a constitutional convention — or a laundry list of reforms (usually crafted to appeal to special interest groups). Neither leads to the kind of deep political reform America needs. So what might catch the attention of a broad coalition of Americans and lead to effective reform? Nothing comes to my mind. I suggest listening to political scientists, or even philosophers. Or look to the fringes, from where new ideas often emerge. Post your ideas in the comments. More on this on another day. 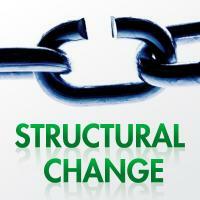 Reforming America: steps to political change. Previous Post America plays the hegemon while ruled by fear and machismo. FAIL. Next Post A look at the cutting edge of the climate sciences, & the lessons we can learn. Grillo marshaled consensus by railing against a political establishment notorious for its self-serving habits and promising everything to everybody, from a basic income scheme (obviously popular in a country with double digits unemployment rate) to opposing animal lab testing (which netted him a few activists for his political campaigns). Most of that would be impractical or counterproductive and there are reasons to suspect he is more interested in mantaining a following (he is still working as comedian) and perhaps preventing the emergence of some Golden Dawn style movement than actual reforms. I agree. 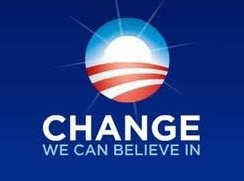 It is hope and change scam. Sounds good, but the content is less filling. Arnold Schwarzenegger, former Republican governor of California, may also fit this model. He had a lot of big speeches and great showmanship. He famously promised to stop the political game of simply moving around boxes in the state budget, but instead rethink the whole system and ‘blow up the boxes’. He never did end up accomplishing much, although I would credit him with districting reform that significantly moderated gerrymandering, and went a long way to removing some of the more extreme political elements here. Another great example! He started his campaign as a joke (as he later admitted), and never had a program. During a crisis — hence an opportunity to make needed structural changes — we elected a clown. Yes, we are fools. I disagree that Barack Obama lacked idea. Obama had plenty of ideas. They were just bad ideas — ideas previously peddled by Republicans. Obama’s idea of foreign policy? Neocon warmongering in foreign countries like Afghanistan, the “grave of empires.” That’s an idea, but it’s a spectacularly bad one. Obama’s idea of health care “reform”? A Republican proposal to force everyone to buy private insurance from for-profit health insurance companies, with premiums guaranteed to rise infinitely in cost. That’s an idea, but as Massachusetts’ faltering health care system shows with costs skyrocketing and state officials talking about legislating price caps and cost freezes, it’s also a disastrously bad idea. Obama’s idea of dealing with the financial crisis? Funnel mountains of cash to the Wall Street financial crime lords who trashed the economy, then let them use it give themselves billions in bonuses. That’s an idea too — a Republican idea, and an astoundingly bad one. Now Hillary Rodham Clinton offers herself as presidential candidate, and gives a speech proclaiming that “bash the bankers is unproductive and needs to stop” and American “needs a more assertive foreign policy.” These are ideas too — Republican ideas. And very very bad ones. That’s a cogent objection. But, other than Afghanistan, were any of those the “hope and change” promises he made? Certainly not assassinations, use of the Espionage Act to crush investigative reporting and whistleblowers, etc. So there were few ideas about reforms in the sense he promised. FM, I think you hit the nail on the head when you pointed out nearly 6 long years ago that candidate Obama didn’t really promise much of anything. He projected an empty Potemkin-village facade ful lof vacuous feel-good slogans like “hope and change” and “Yes we can!” without actually offering any policy proposals of substance. I can’t recall a single specific policy point Obama actually articulated, other than closing down Gitmo and pulling U.S. troops out of Iraq. Those are not tremendously sophisticated policies, by the way — a four-year-old could come up with those two. What about serious substantive social policies like, say, implementing a nationwide high-speed rail project? Or linking bailout of the automobile companies to a Manhattan-project-style effort to develop alternative fuels? Or implementing a guaranteed minimum income of the kind FDR suggested in his last year in office? Or putting in place an excess profits tax of the kind that was in place throughout the 1940s? Or setting up federal loan programs for a nationwide apprenticeship program for students who don’t want to go to college but want to learn a skilled high-paid profession like machinist? Or changing the toxic culture of the U.S. military with its outdated 2nd-generation warfare “put fire on target” mentality? Or altering America’s absurdly bellicose foreign policy to stop creating enemies around the world and shut down some of our pointless 750 worldwide bases? During his campaign, Obama didn’t utter a peep about any of those issues. Just vacuous sloganeering and empty feel-good rhetoric, utterly devoid of specifics. And, as you pointed out years ago, the American people got sucked in and voted for him. The result, predictably, was not much of anything. Obama, it transpired, didn’t actually have any substantive policy proposals, aside from nebulous feel-good slogans. So he wound up dragging a bunch of half-baked Republican ideas off the shelf. I think your point (made repeatedly in this blog) that Obama suffers from chronic inexperience is exactly right. Inexperienced leaders flounder around, thrash and flail, and usually settle for half-baked previously-discarded nostrums brought forward by others. The result is a rudderless administration, lack of direction, and general political malaise. It seems clear to me right now from watching Obama that he has tuned out of the process of governance. He is probably busy writing his memoirs (for which he’ll surely be awarded a record-breaking advance by the book publishers) and contemplating what to do with his post-presidency library and foundation and speaking tours. I think we’re swimming in worthy causes. A foreign policy that doesn’t stir up trouble? Mitigating the human effects of the industrial system’s ongoing transformations? Honest examination of, and response to, the dysfunctions in today’s American economy. Continued attention to healing problems of race relations. Making democratic institutions more responsive to all of the above? Breaking through the apathy (if that really is a serious roadblock)? As for *effective* reform, I dunno. That would involve getting one’s hands dirty and figuring out how the sausage is made in D.C.